Scribes function as a beneficial part of the medical team, primarily to both facilitate patient flow and ensure an accurate and complete medical record for each patient. Maintain professional appearance and conduct at all times. Adhere to employer work practices. Establish and maintain effective working relationships with physicians, staff and managements. Effectively cope with typical job stress. Document work processes as required. Perhaps most important, it is the culture of our company to work as a cooperative team in order to provide care to our patients. The scribe must be a part of this culture of teamwork and care. Education: High school diploma or equivalent. General knowledge of medical terminology. Recognition of physical exam process and ability to record exam details truthfully. Computer proficiency and ability to quickly learn new applications. Organizational skills with focus on tracking patient care and improving patient flow. Look up and provide pertinent past medical records. Ability to multi-task efficiently and effectively. Must be able to act calmly and effectively in a busy or stressful situation. Ability to communicate effectively in the English language in person, by phone and in writing. Requires adherence to all policies and procedures, including but not limited to standards for safety, attendance, punctuality and personal appearance. Must be able to establish and maintain effective working relationships with managers and peers. Many of our Medical Scribes are college students seeking a career in the medical field either as a Physician, PA, NP or Nurse. 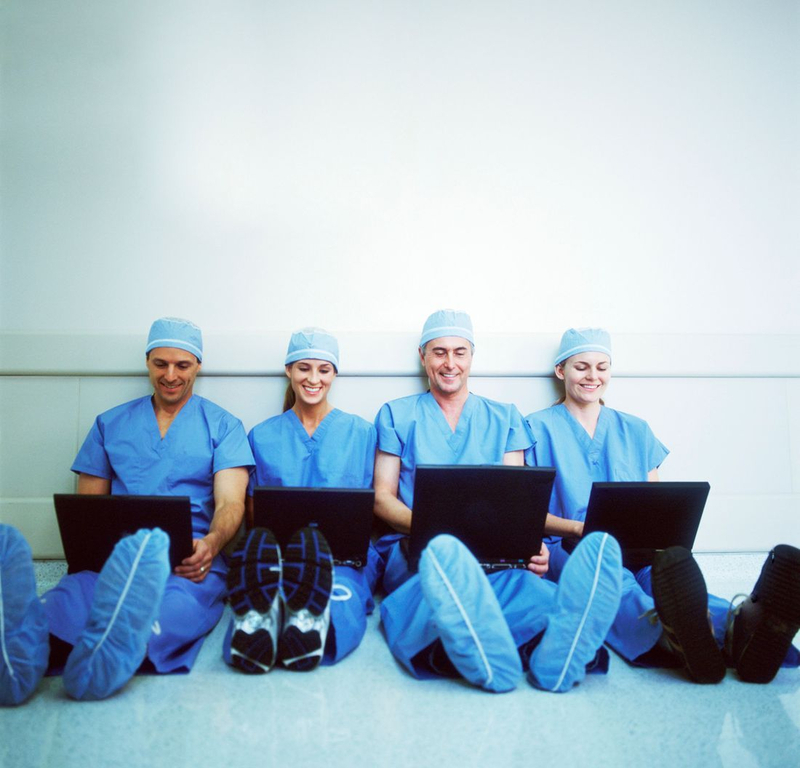 Being a Medical Scribe gives you unprecedented access behind the scenes in hospitals and doctor's offices. You will learn what it actually takes to be in the he medical field, while obtaining a priceless education and experience. If you are a PA student you can gain clinical hours needed for school. We also hire Medical Assistants too! Scribes shadow the physician and document the patient encounter into the patient's electronic medical record. This job requires a thorough knowledge of medical terminology. This position best serves the applicant interested in a career in the medical field. It is a great opportunity for: medical students, PA and NP students, nursing students, medical assistants, paramedics, or EMT's.